Congratulations to our client of the month Inga Windsor! 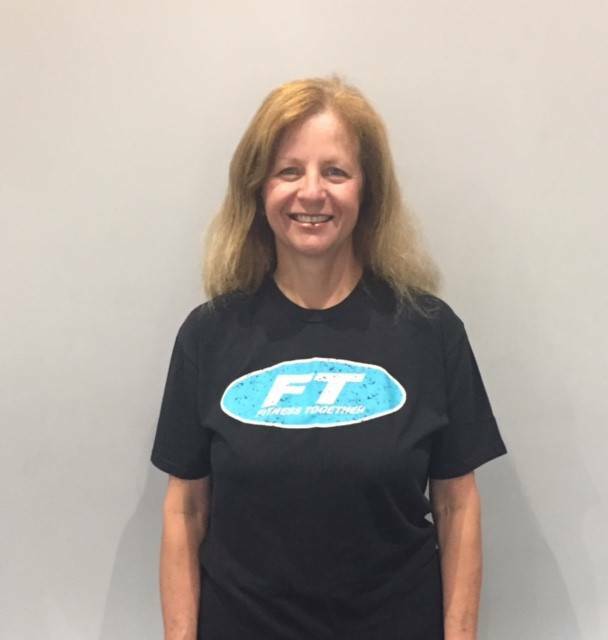 Inga currently works out at Fitness Together 2 days a week in our small group personal training called PACK. Since starting with Fitness Together four months ago Inga has lost 16 pounds, 8% body fat and 14 inches. We asked Inga to share a little bit about her experience thus far and here is what she has to say. In her free time when Inga is not working out she loves to create such as oil painting, drawing, jewelry making, ceramics & making stained glass work. She also enjoys reading, gardening, hiking, camping and fly fishing. Congratulations Inga on all of your success and hard work! !